Mr. Parker proudly stepped to a row of wooden frames, carefully covered with matting. Stripping this away, with the air of a bishop unveiling a memorial, he disclosed a V-shaped line of footprints. “Great poet, Wordsworth,” said Lord Peter; “how often I've had that feeling." 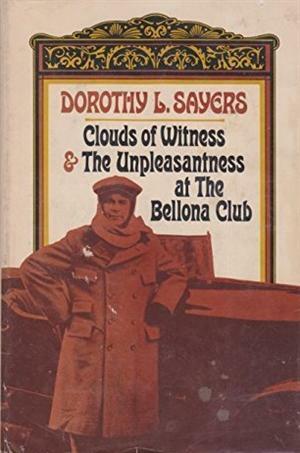 And The Unpleasantness at the Bellona Club, focusing on the devastating after-effects of WWI on those who lost loved ones and those who survived - all mingled with an intriguingly complicated crime in which determining the precise time of death of two very elderly individuals could have huge effects on the potential heirs. Another very entertaining entry in this marvelous series. 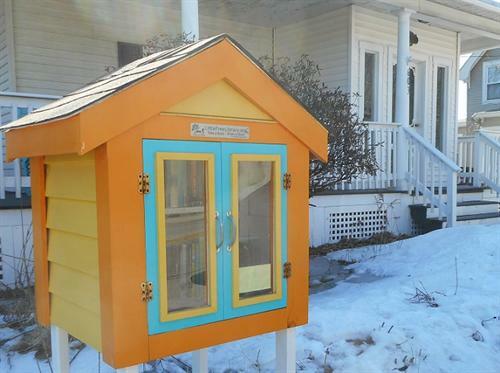 I left this book in the bright yellow Little Free Library; hope the finder enjoys it!